Toyah’s first ever compilation of material was released by compilation label K-Tel in association with Safari Records. The album boasted all of Toyah’s charting hit single, selected album cuts and the tracks marked * were stamped as “First time ever on an album”. The re-recorded 1982 version of Ieya was included in it’s shorter Radio Edit form which had only appeared on promo releases until that point. 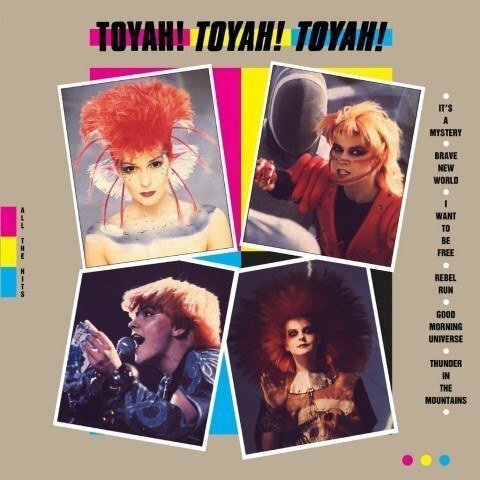 The album was TV-advertised and an accompanying video compilation was released on VHS and Betamax containing all of Toyah’s promo videos plus a live performance of It’s A Mystery taken from Toyah At The Rainbow concert film. The album charted at #43 in the UK album charts in 1984.